Dr Derek Randall, is the Managing Director of JSW Severfield Structures Ltd (JSSL), since 2013. Derek is on the main board of Severfield Plc, the JSSL JV Board, and he is Chairman of JSWSMD. He is a Master of Business Administration (Warwick Business School), a Doctor of Business Administration (Nottingham Business School) and he has been involved on the advisory boards of a number of UK universities. Before joining Severfield, much of Derek’s career was connected to the British steel and construction industries where his last position before joining Severfield plc was Commercial Director of the Long Products Division, responsible for a sales portfolio of circa £5 billion. Derek has held numerous international board positions and served on the Executive Council of the Steel Construction Institute. 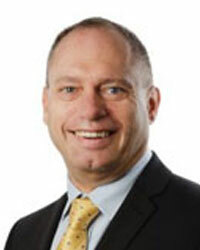 Luke Ellison was appointed Head of Construction of JSW Severfield Structures Ltd. (JSSL) in November 2009. 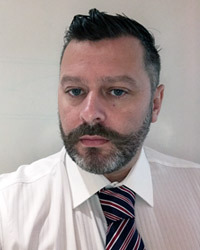 Prior to his appointment in JSSL, Luke was the Erection Manager for Severfield Plc, U.K. from 1995 to 2009. Luke is a result oriented professional with technical knowledge backed with a 26-year experience of project erection & operations of mega critical projects like Airports, Warehouses, Sport Stadiums, Power & Chemical Plants, Data Centers, etc. for Severfield UK and JSW Severfield Structures Ltd., India. Luke brings with him expertise in handling a diverse range of mega projects. Under his leadership, JSSL has received many awards for safety as well as performance. He comes with an excellent track record of planning, execution and working under tight deadlines. In addition to that, Luke has also developed procedures and operational policies, planning and implementing effective strategies to increase revenue, optimization of resources and value engineering for clients. 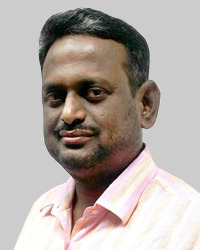 Mariappan Arun Kumar is the Head of Design & Engineering department of JSSL since 2015. He has over 26 years of experience in the field of structural engineering. He has been engaged in project management, resource management, value engineering of design and construction, budget preparation, guiding the technical and project execution teams, preparation of quality plans, TQM, risk management, automation of works, verification and validation of design documents, construction engineering, variation claims, repair & rehabilitation of structures, scheduling & monitoring the works, evaluation and tendering. Prior to joining JSSL, Mariappan has worked with leading consultants, steel contracting firm in Eversendai Engineering in UAE, Malaysia and Qatar. 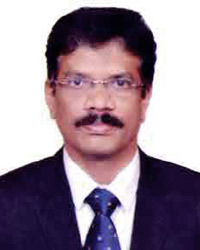 He holds a Bachelor’s Degree in Civil and Structural Engineering from Annamalai University and Master of Engineering in Structural Engineering from Annamalai University. Tirthankar has been with JSSL for over 6 years heading Sales & Marketing and Projects. He comes with a rich track record of over 15 years in the construction and infrastructure sector, having worked in leading business conglomerates like Essar Projects, SREI Infrastructure, ICICI Bank, Ambuja Cement. In JSSL his focus is to continually drive the Indian construction industry to adapt to an offsite steel construction model with a pro-steel mind-set and then deliver a great project to the client as per commitments. A M.Phil and MBA Finance, Tirthankar has been a faculty of Finance in a leading Business School and has to his credit several publications in international magazines and journals. R. Dharmasri joined JSSL as Head of Business and Operational Performance and improvement in 2017. He has over 25 years of rich experience in the SCM function, having worked with leading companies like Mahindra & Mahindra, Kirby Building Systems India Limited, Godrej & Boyce and others. In JSSL he heads purchasing, sub-contracting, material & supply chain management/logistics, site and customer service, multitask training and QA/QC operations. He is also responsible for new business initiatives. Dharmasri is a Mechanical Engineer and also holds a Masters Diploma in Business Administration. 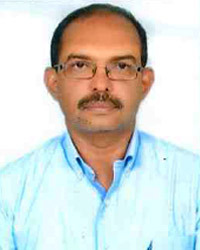 Ranjitkumar heads Human Resources/EHS/IT at JSSL since April, 2009. Prior to this he was in the Corporate HR department of JSW Steel Limited. He is a Commerce graduate( Honors) from Mumbai University with an MBA from Mumbai University specializing in Human Resources and Industrial Relations. He has cleared the first group of Company Secretary course(CS) and also done a certification course from Indian Society of Training & Development( ISTD), New Delhi. Before joining JSW, Ranjit was with Crompton Greaves, heading the HR Operations and L&D Functions at Corporate office for the entire group. Prior to this assignment he was associated with Proctor and Gamble, leading the Sales HR Function. Ranjit is a keen sportsman and is actively involved in the group’s Cricket and other sports Initiatives. Santanu is the Chief Financial Officer of JSSL since January 2016. He is a Chartered Accountant and Cost Accountant from The Institute Of Chartered Accountants Of India and The Institute of Cost and Works Accountants of India respectively. 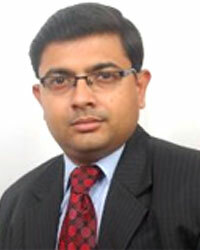 Before joining JSSL, Santanu was CFO for UGL India. Earlier to this, he was involved in various roles in finance at Leighton’s India business. He has also worked in the consulting space with the Big 4 audit firms and was involved in advising transnational corporations on various financial aspects of doing business in India. He has been in various roles including business management, controllership, taxation, transaction structuring, strategy and stakeholder oversight. 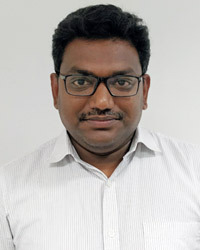 Srinivasa Rao has been with JSSL for over 7 years and currently heading Business Planning and Estimation division. He comes with over 13 years of experience in Estimation and Construction Planning Industry. He has worked with leading companies like Reliance Industries, L&T Limited, Dodsal PTE Limited and Jaiprakash Associates Limited. In JSSL his role to coordinate with Design, Detailing and Plant operations to ensure that strategic, business and commercial sales plans are properly co-ordinated, actioned and driven. He is also responsible for cost estimation and techno-commercial proposals of all the tenders. Srinivasa holds a bachelor degree in Mechanical Engineering and Post graduate degree in Piping Engineering. 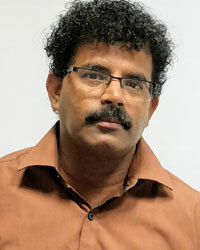 JP Reddy, is the General Manager - Project Management of JSSL, since 2013. He comes with a rich experience of over 30 years in the field of civil construction, Pre-Engineered Building and Steel Structures construction in both Project Management and Site Execution. JP Reddy has completed his Bachelors of Engineering in the field of Civil Engineering from Vijayanagar Engineering College, Karnataka. In his past experience he has worked with leading multinational organisations which are specialised in the Steel Fabrication and Erection of Commercial and Industrial buildings pan India such as Zamil Steel Buildings India Pvt. Ltd. and Japan Metal Building Systems Pvt. Ltd. He is also a member of ‘Shine India Rural’, a community propaganda to develop villages in terms of child education, hospitals and sanitation construction in India. Shekhar Agashe joined JSSL as Head of Contracts, Commercial and Legal division in 2017. He comes with over 25 years of rich experience in Project management, Contracts Management, Claim Management, Vendor Management and more. 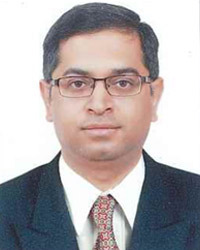 He has previously worked with IOT Infrastructure & Energy Services Ltd, Essar Offshore Subsea Ltd/ Essar Oil India, Qatar Gas, Franks International US , British Gas UK and Tecnimont. In JSSL his role is to manage all client contracts and also support purchasing and subcontracting teams in negotiating the best contracts for the business. He is also responsible for managing the quantity surveyors in the business. 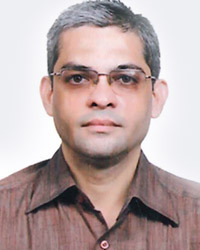 Shekhar holds a bachelor degree in Civil Engineering and a Chartered Engineer.